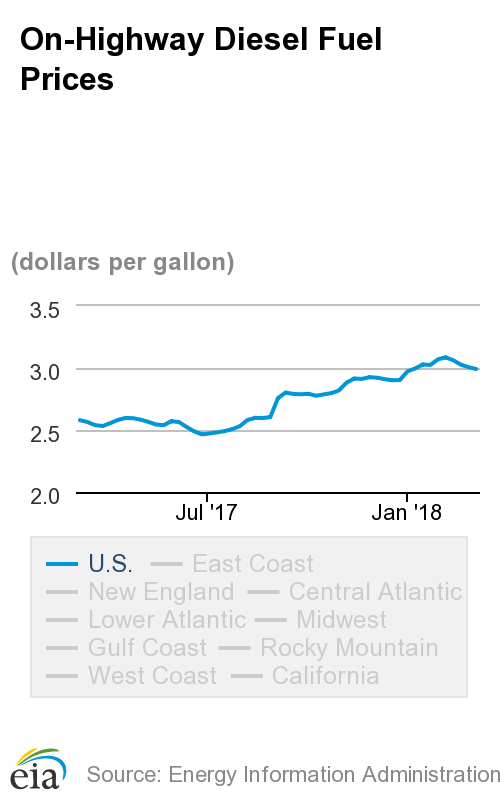 For the first time in almost two months, the average diesel price is below the $3 mark. The average price per gallon is $2.992, according to the Energy Information Administration. The last time the average price was below $3 was Jan. 8, when the price was $2.996. The price dropped 1.5 cents in the past week. The average price is about 41 cents higher than the average price was this week a year ago. 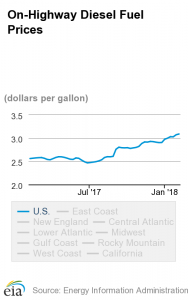 The last week of May saw diesel prices jump about 3 cents after steadily falling for just over a month, according data from the Energy Information Administration. 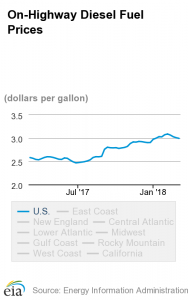 However, prices leveled this week at an average $2.564 per gallon. 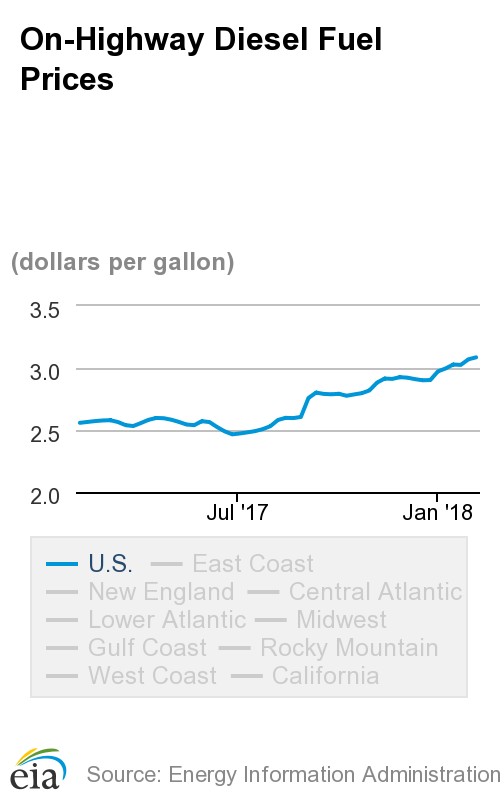 In April, prices had reached the high for the calendar year at $2.597 per gallon. Prices are nearly 16 cents higher than prices were a year ago this week.